It's her 4th year with the brand and still going strong, Aiai Delas Alas remains on top of her game. 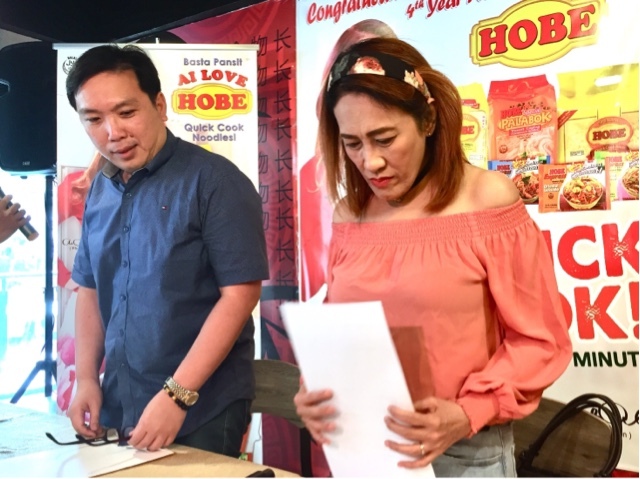 Aside from her regular shows, several businesses, management duties with top artists, she still manages to continue relationships with brands that trust her, one of which is HOBE Noodles. Congratulations Ms. Aiai Delas Alas, you continue to shine because you are so good to people.